If you have yet to drop by our White Coffee Tarik Roadshow, here’s a preview of what’s brewing at our booth at nex FairPrice Xtra! Here’s some good news for all our White Coffee Tarik lovers as well. We will be extending our roadshow till 25 January due to your overwhelming support! Do drop by and check out our exclusive deals and promotions before it ends! What's more, we'll be having an event today (19 Jan) and on Sunday (21 Jan), where you can win attractive prizes by participating in our Q&A segment. [Musee Platinum] Never worry about in-grown hairs or skin irritation when you undergo treatments at Musee. Never worry about in-grown hairs or skin irritation when you undergo treatments at Musee. Our S.S.C Hair Removal method targets your hairs from the root with the help of our specially formulated gel and light - thus letting you enjoy smooth and silky skin without the pain of other conventional methods! 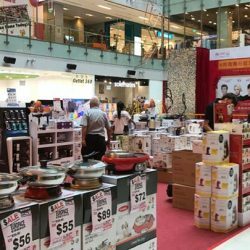 Lunar New Year Warehouse Sale now on at #HarveyNormanSG Factory Outlet, 750B Viva Business Park. Get ready for Lunar New Year with awesome savings! 4 DAYS ONLY! [SUKI-YA] Need a place to help you tide through one more day before the weekends? Need a place to help you tide through one more day before the weekends? Look no further! 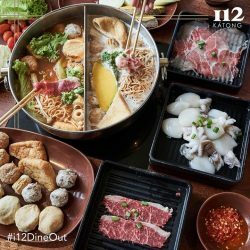 Head over to Suki-Ya I12 Katong to enjoy your favourite Shabu Shabu. That's not all! When you dine in pax of 4 or more, 1 gets to dine for free! What are you waiting for! See you there! From now till 15 February, spend $10 on any of our products and get a chance to scratch and win up to $8,888 worth of prizes! Promotion available at our White Coffee Tarik roadshow or at participating FairPrice outlets. While stocks last. Terms & conditions apply. 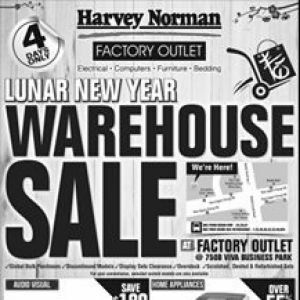 [Harvey Norman] The Lunar New Year Warehouse Sale starts this Friday at HarveyNormanSG Factory Outlet, located at 750B Viva Business Park! 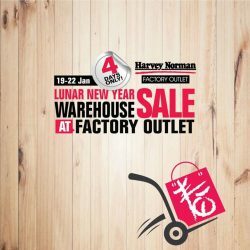 The Lunar New Year Warehouse Sale starts this Friday at #HarveyNormanSG Factory Outlet, located at 750B Viva Business Park! Get a 7kg Panasonic Front load Washer at $398, and save $201! 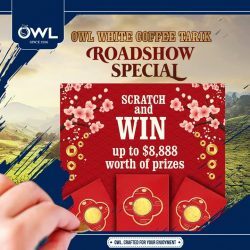 From now till 15 February, spend $10 on any of our products and get a chance to scratch and win up to $8,800 worth of prizes! Promotion available at our White Coffee Tarik roadshow or at participating FairPrice outlets. While stocks last. Good luck! 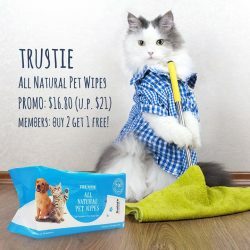 [Pet Lovers Centre Singapore] Trustie all natural pet wipes are so gentle, you can use it daily for your pets and yourself! Trustie all natural pet wipes are so gentle, you can use it daily for your pets and yourself! It contains vitamin E and aloe vera to naturally moisturize pets paws, coat, and skin. It is alcohol and paraben free. 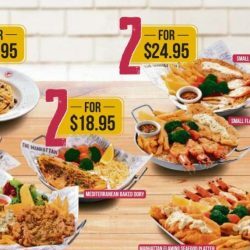 Till 28 Feb 2018 The Manhattan FISH MARKET: Flash These Latest E-Coupons to Enjoy Great Offers! This lunar new year, swim by with a friend and catch up over a good meal at The Manhattan FISH MARKET! 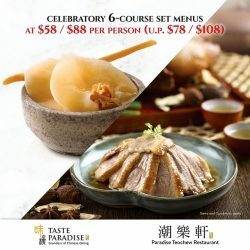 [Paradise Group] Reward yourself for being a mondaybluessurvivor with our celebratory 6-course set menus! Reward yourself for being a #mondaybluessurvivor with our celebratory 6-course set menus! 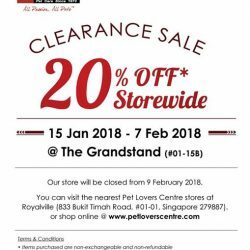 [Pet Lovers Centre Singapore] We’re running a storewide SALE of 20% off at our Grandstand outlet (01-15B)! We’re running a storewide SALE of 20% off at our Grandstand outlet (#01-15B)! 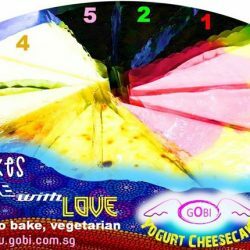 [Gobi Desserts] Gobi Desserts cares Food free from Animals 63452127 http://gobi. 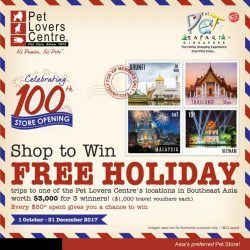 [Pet Lovers Centre Singapore] CONTEST ALERT! The Pet Corrector is a great way to correct your dogs behaviour in a way that doesn’t harm them in any way! 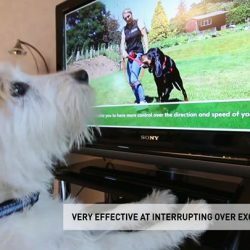 With a sound that mimics nature, the Pet Corrector grabs your dog’s attention and interrupts bad behaviour. You can then ask and reward for good behaviour. [The Manhattan FISH MARKET Singapore] So many choices just for tea! So many choices just for tea! Which one would you have for a tea time break? 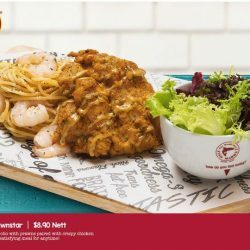 Enjoy our Tea Time dishes from only $7.90, comes with a choice of Coke or one scoop of ice-cream! 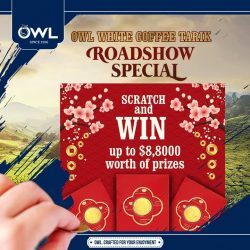 [Owl Café] Calling out to all coffee lovers! Calling out to all coffee lovers! 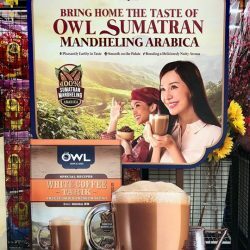 We are excited to be bringing the taste of 100% Sumatran Mandheling Arabica to the heartlands of Serangoon! 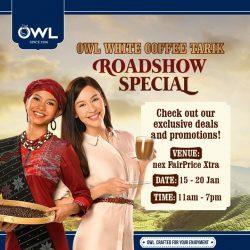 Look out for our White Coffee Tarik Roadshow at nex FairPrice Xtra from 15 - 20 January for exclusive deals and promotions. 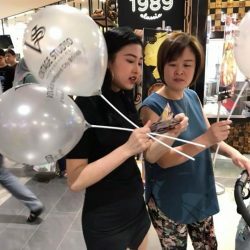 [Vintage Studio Hairdressing Spa] Officially starts grab our vouchers from our friendly models and enjoy this one time Opening promo .